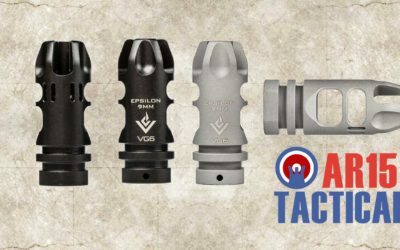 The VG6 Epsilon 9mm employs a two-step gas redirection process to produce a soft, low-energy recoil that’s easy on your shoulder. 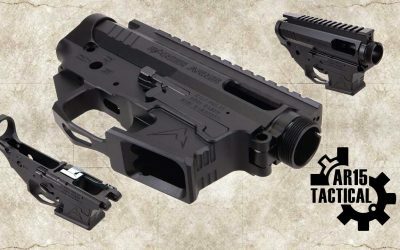 It helps you keep the sights on the target at all times, even during rapid fire, so you can saturate the target with hits – matter how fast you shoot. 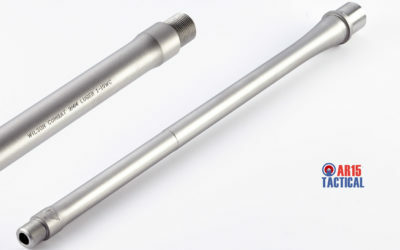 Wilson Combat AR-9 9mm AR pistol/carbine barrels are made with the same care as their legendary rifle caliber barrels. 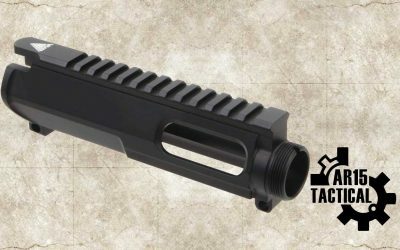 These superb barrels are perfect for your next build and have been designed to work with most legacy 9mm AR uppers. The 1-10” twist is optimized for long range accuracy and 1” groups at 50 yards are not uncommon with match grade ammunition. 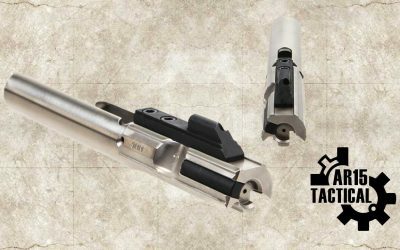 These barrels use a 5/8”-24 TPI threaded muzzle for enhanced accuracy and work well with our Q-Comp muzzle brake. 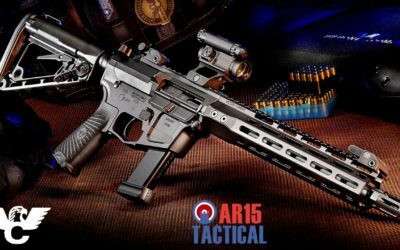 The MVB Industries AR-15 Pistol Caliber Billet Stripped Upper Receiver is the perfect platform for building your unique, mission-specific, AR-15 pistol caliber rifle/pistol. Made from a high-strength, 7075 T6 aluminum for durability. Mil-Spec, MIL-A-8625 Type III hardcoat anodized finish adds extra strength and delivers superior abrasion-resistance for rugged field use. 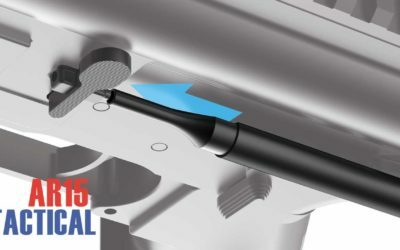 Precision-machined to ensure drop-in installation of Mil-Spec aftermarket parts. 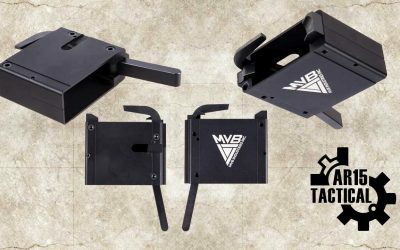 MVB Industries AR-15 45ACP Magwell Adaptor is designed as a drop-in accessory for a standard AR-15 lower receiver and uses a standard H&K USC 45 caliber magazine. 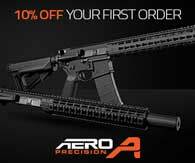 There’s no need to go with a pistol-caliber specific AR lower on your next pistol-caliber carbine build. 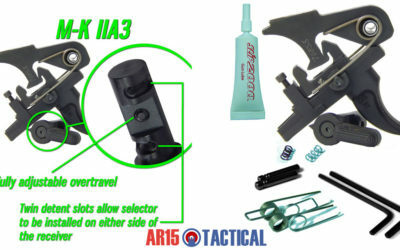 With the Stern Defense AR-15 9mm Conversion Adapter you have the ability to utilize popular pistol magazines which you may already have a supply of. 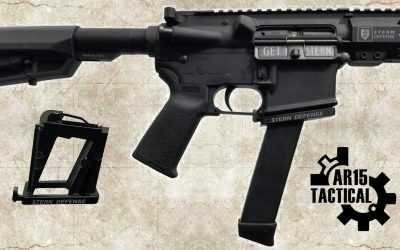 Stern Defense make two differ models of their Conversion Adapter, one which uses Glock® magazines, and one which uses either Smith & Wesson M&P or Sig 320/250 magazines.